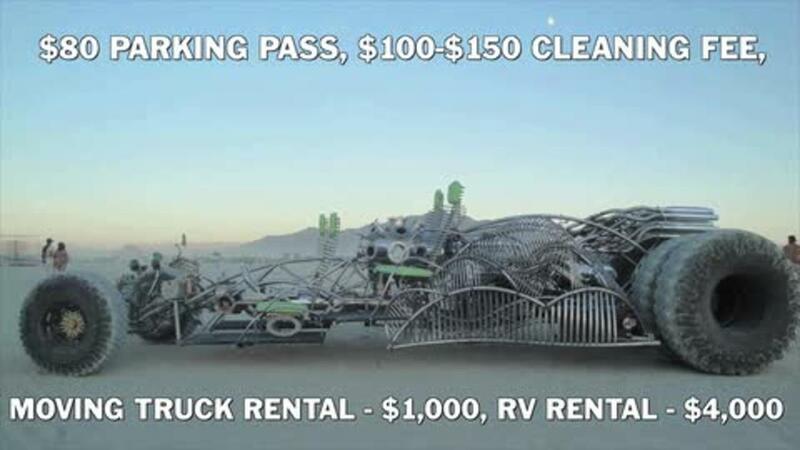 In recent years, people have started bringing drones and riding helicopters to Burning Man, the giant annual arts festival held in Nevada's Black Rock Desert. These drones, planes, and helicopters have allowed Burners to capture some amazing aerial photography. Check out some of the bird's-eye-view photos of this year's festival, which started on August 28. An aerial view as approximately 70,000 people from all over the world gather for the 30th annual Burning Man arts and music festival in the Black Rock Desert of Nevada, U.S. August 31, 2016. REUTERS/Jim Urquhart FOR USE WITH BURNING MAN RELATED REPORTING ONLY. FOR EDITORIAL USE ONLY. NOT FOR SALE FOR MARKETING OR ADVERTISING CAMPAIGNS. NO THIRD PARTY SALES. NOT FOR USE BY REUTERS THIRD PARTY DISTRIBUTORS. TPX IMAGES OF THE DAY. And in their spare time, some play with drones. One Burner, Dexx Negron, took a Facebook Live video using a camera strapped to a drone. It didn't go too high, hovering just above the tents.